Mocha has just launched a range of new glass bottles, carafes and tumblers in time for summer. Made from recycled glass, they are Infused with Mediterranean style and bring added pleasure to keeping hydrated. 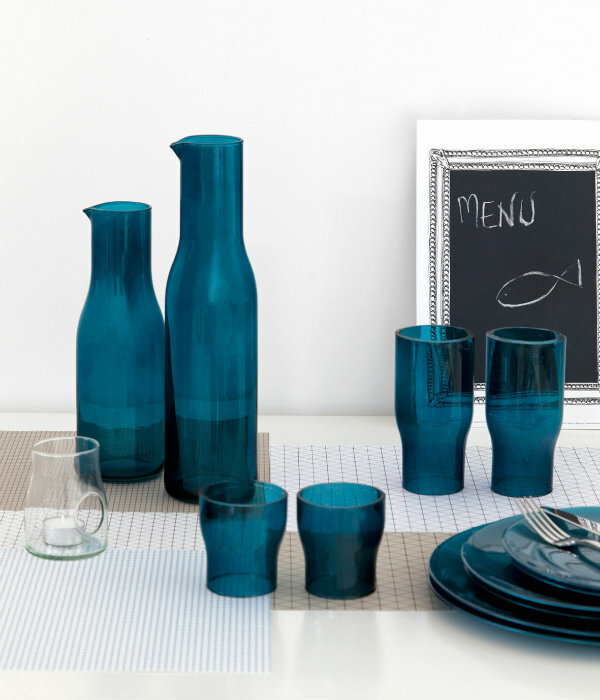 Matra Jug is a pure and simple carafe in a beautiful shade of turquoise. Matra Tumbler is a matching drinking glass that can be used together with it to create a set. Giralda Water Bottle looks almost architectural in form. And in fact the inspiration for the design comes from the famous Giralda Tower in Seville. 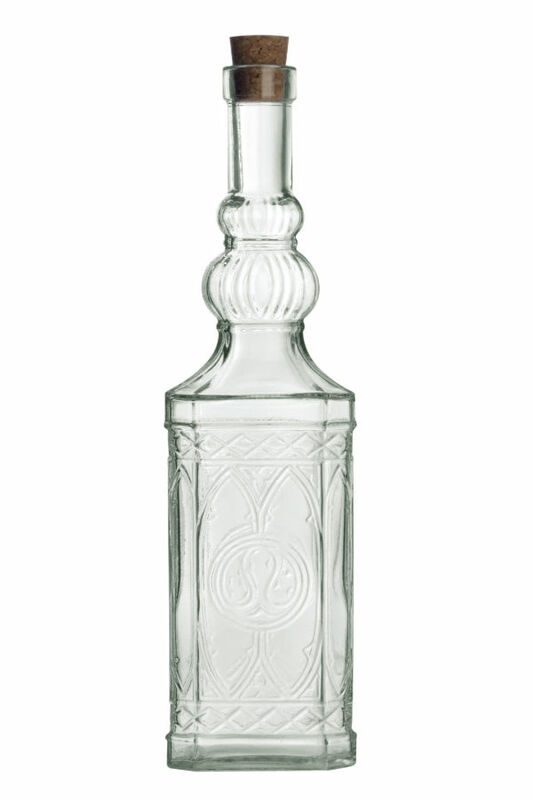 blending form with function, this original glass bottle with cork is the perfect way to serve water at the table. 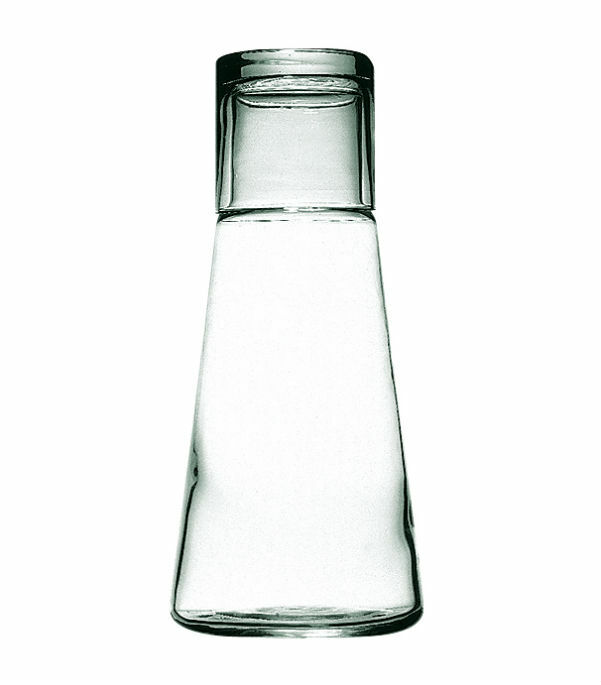 Anisette Water Bottle is a cut glass bottle with cork that features a geometric design. It is a far more stylish alternative to having a disposable plastic water bottle on the table. It’s also perfect for serving water at a dinner party. 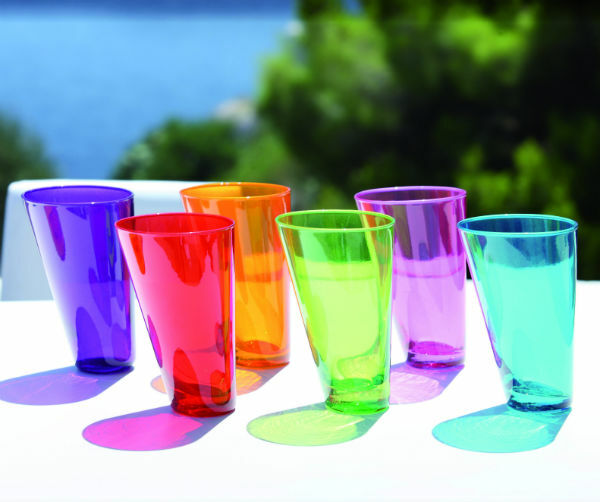 Koko Multi Colour Tumblers are a set of six glasses in a vibrant spectrum of colours. The original tilting design makes them beautiful to use every day. And displayed on a shelf, they are also striking decor accessories. Fenix Carafe and Glass is ideal for use as a bedside carafe. The tumbler doubles as a stopper and fits neatly over the top of the bottle. It also makes the perfect water bottle to keep on the desk and keep hydrated throughout the day. 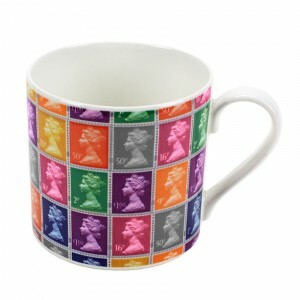 Multi Stamp Mug features a design of multi-coloured stamps with varying values. The Stamp Mug is part of the stamp collection range of home accessories. Officially licensed by the British Postal Museum and Archive, the accessories combine the style and nostalgia of the British stamp. Ideal for a morning coffee or evening hot chocolate, the capacious mug has a capacity of 450ml. Made of bone china and hand finished in the UK, it is also dishwasher and microwave safe. Multi Stamp Mug makes the perfect gift for stamp lovers and anyone who likes their mugs to be large. Flower Wine Charms are a set of 12 original wine glass charms designed by to look like flowers. 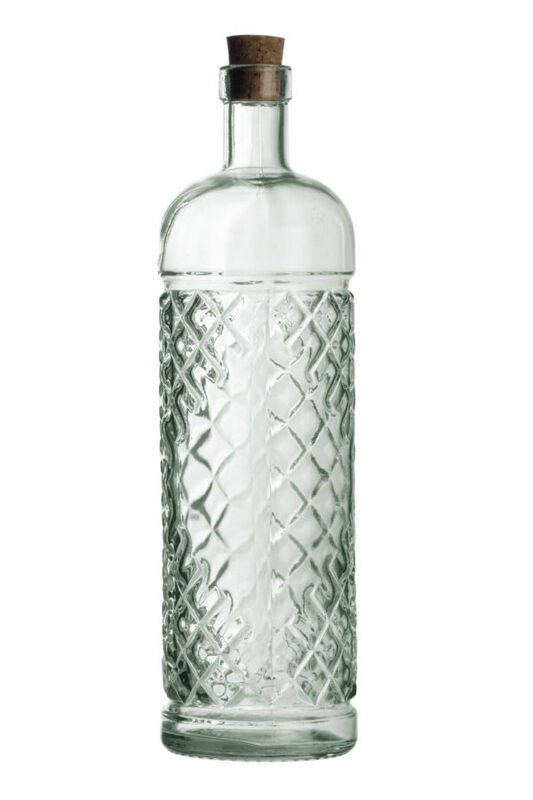 Perfect for parties or weddings, each guess can pick their own flower to personalise their glass. 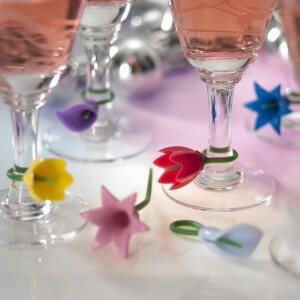 Easy to use, simply bend the silicone stem of the flower to fasten it around your wine glass. And what’s more, they are dishwasher safe, making them easy to clean them afterwards. Flower Wine Charms will adjust to all stemware. They come as a set of twelve with each one different colour in one of four different floral shapes. The flowers are also big enough to be used for many other uses around the home such as as bag ties, cable ties or bread bag ties. 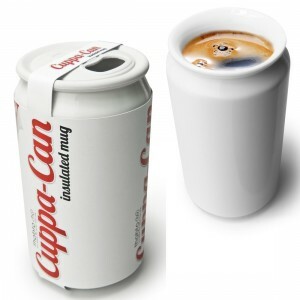 CuppaCan is an insulated porcelain mug with lid, designed to look like an aluminium drinks can. Produced with two walls of porcelain, it will keep your drink hotter for longer and enables you to hold the mug without the risk of burning yourself. This cool mug also has a protective silicone drink through lid – to keep your coffee in your mug – rather than across your keyboard. Memo Mug is a ceramic mug that doubles up as a message board. This dual purpose mug has been cleverly designed with a flat edge, making it easy to jot down those great ideas and important notes. And an integrated pen holder means you’ll always have a pen on hand. 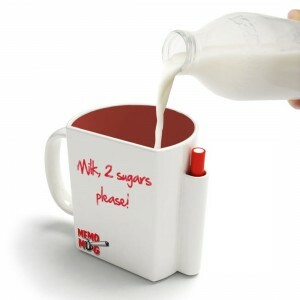 Memo Mug is perfect for creative types who get their greatest inspirations when having a hot drink. It’s also useful the office to let your work colleague know exactly how many sugars you like with your tea when it’s their turn to make the round.Or how about adding a love note to that special someone when bringing them their cup of coffee? In addition, since you can write all your notes straight onto the Memo Mug there’s no need to waste paper, making it very environmentally friendly. Then, just wipe clean and start again.